We manage sterilization from protocol development, publishing final test results, and managing the ongoing sterilization process, including laboratory testing. We offer small lot sterilization as well as “single release” where no validation is required. We provide better quality packaging because we control the thermoforming process of the packaging trays. We pride ourselves on our unparalleled ability to work with heavy gauge and other difficult materials such as polycarbonate. Our thermoformed packaging capabilities include post-forming fabrication to manufacturing thermoformed packaging with vents, handles, locking tabs, and welded internal components. 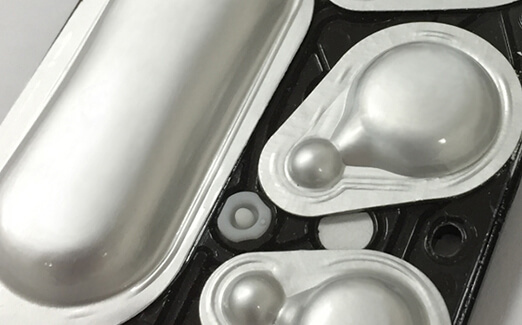 We also provide customized trays to support specialized lyophilization processes. J-Pac Medical packages sterile devices in eleven class 7 and 8 clean rooms. 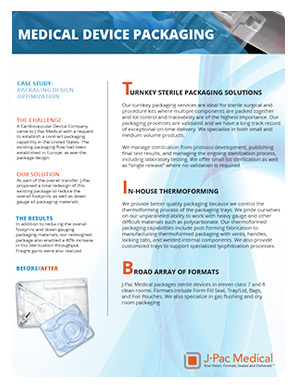 Formats include Form Fill Seal, Tray/Lid, Bags, and Foil Pouches. We also specialize in gas flushing and dry room packaging. 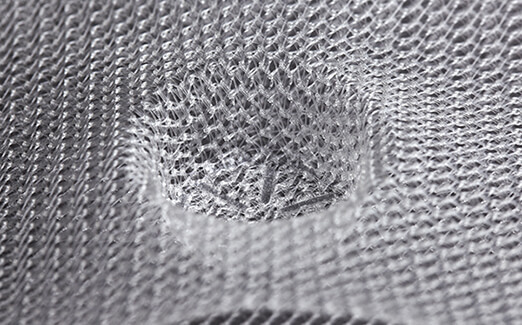 Read White Papers written by the experts in Medical Device Assembly & Packaging. A conversation with J-Pac is your first step to having a manufacturing partner you can count on. © 2019 J-Pac Medical. All Rights Reserved.